Landsat 1, Earth Resources Technology Satellite, Florida and Cape Canaveral, Color Photograph Taken September 6, 1972. Color 8 x 10 in. 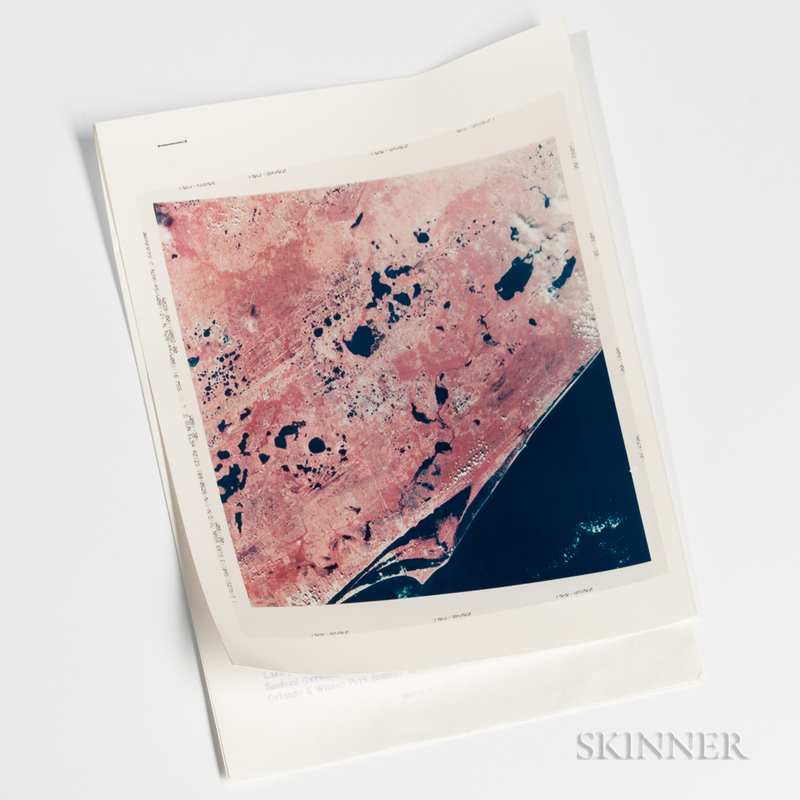 photograph taken by ERTS, the first Landsat satellite, in the first year of its launch, showing the area of Florida around Cape Canaveral, printed on photographic paper labeled "This Paper Manufactured by Kodak" on the verso, stapled to a two-page mimeographed NASA/Goddard Space Flight Center caption with round logo.